Steel or fibreglass, Strassburger entrance doors add value and curb appeal to your new home or renovation. Strassburger steel doors feature distinct high definition panel designs with the ultimate in security, pre-finished or ready to paint. 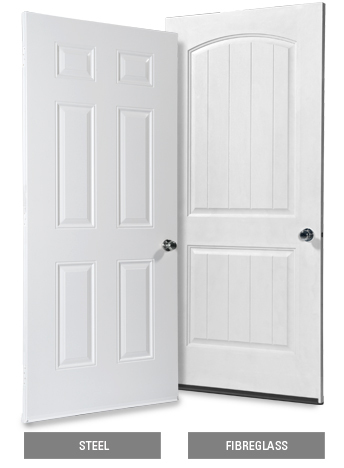 Our fibreglass doors capture the beauty and elegance of a wood door without the maintenance. Available pre-finished or ready to paint or stain. Transform your entranceway with the added elegance and sophistication of a Strassburger double door. Available in steel or fibreglass, our double door systems are highly functional and feature optional multi-point locking hardware for increased security and weather protection plus a wide variety of side lite and transom options. A beautifully designed entrance door is nothing without proper specification and professional installation.To find a Strassburger Windows and Door Certified Dealer in your area call 519- 885-6380 or send us an email.